Is Coenzyme CoQ10 Good For Your Skin? Long before I learned about those top anti aging ingredients including vitamin C, hyaluronic acid and peptides, there was one ingredient that was widely advertised on TV as top anti aging ingredient and that was Coenzyme CoQ10. At those times, even if we didn’t know what exactly Q10 was, we could make out that it was something good for our skin since it often appeared on the jars of popular skin care cream brands. Today Q10 is still used in anti aging formulas and judging from one of my favorite moisturizing creams containing Q10, it is a very good ingredient to look for in anti aging skincare products. So, if you have heard about Q10 but you have never tried to find what exactly it is or what its benefits are, let me give you some information so that you know more when you see Q10 included in the list of ingredients of the creams you either already have or intend to purchase. Q10 is an oil soluble substance which has a composition similar to that of the vitamins and exists in the cells of our bodies and other living organisms such as animals and plants. Q10 is used in skincare because of its antioxidant nature and function which means that it protects our body from oxidative stress and therefore aging. It was also interesting to find out that this coenzyme regenerates other antioxidants like vitamin E.
Since the 80’s that Q10 popped out like a super star anti aging ingredient, a lot of researches have been done which prove that it is beneficial for photo aging, having an anti wrinkle effect and helping the skin deal with its fine lines as well as the crow’s feet. So, today Q10 exists not only as a strong antioxidant in anti aging skincare products but dietary supplements as well. Still, it is always better to take antioxidants through your diet. Dietary Q10’s richest amounts can be found in meat and fish. Other sources include oils like olive oil, nuts, vegetables and fruits. The Q10 which is used in skincare products is either naturally derived through fermentation or is synthetically produced and has the name Idebenone which according to Wikipedia is a synthetic analog of CoQ10. Using a good quality q10 face cream is a good way to prevent premature skin aging and reduce the signs of aging while keeping your skin moisturized and better protected. You can read more about choosing the right cream with Coenzyme q10 in our review of the best Coenzyme Q10 facial creams. What Are Q10 Benefits For Skin? Coezyme CoQ10 has an even stronger than vitamin E antioxidant function and therefore it contributes to the free radicals elimination, fighting oxidative stress. After the age of 30, the levels of Q10 in our cells reduce and this affects negatively their ability to form collagen and elastin. If less collagen and elastin is produced, the general appearance of our skin changes. More wrinkles and fine lines appear as well as other skin aging signs such as lack of elasticity, sagginess, dullness and dryness. 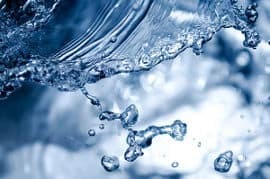 When used in skincare products, Q10 prevents photo aging and wrinkles, boosts the hydration of the skin and promotes the regeneration of the skin cells. 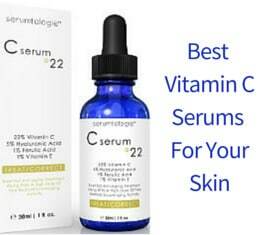 It also reduces the damage that is afflicted by the free radicals skin deteriorating function. Since the daily moisturizing cream I am using contains Q10 as a basic ingredient, I will tell you what my own personal experience is by using this cream. 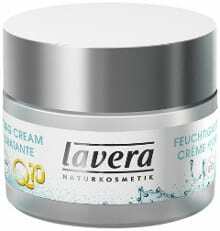 My cream is Lavera Q10 Face Cream. This is neither a thick nor a lotion like cream. For me, it just has that right consistency that makes it easily applicable, spread and absorbed in no time. 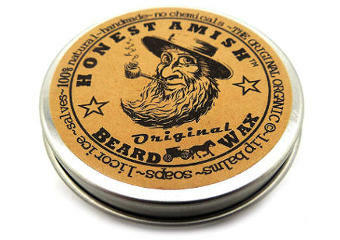 So, it actually feels very light but, most importantly, moisturizing. 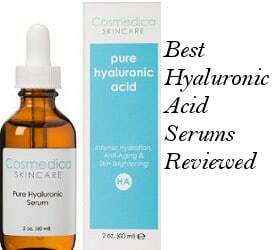 It is not one of these creams that you feel nice on your skin for a couple of minutes after application and then the sensation disappears, but it actually helps the skin stay hydrated for long. It makes my skin feel energized and fresh while I am sure that it also helps boost my collagen and therefore delay my aging signs. Therefore, it is a very nice organic moisturizer which doesn’t feel heavy on my prone to breakouts skin and helps me keep it nicely moisturized and protected from environmental skin deteriorating factors. In conclusion, if you are still wondering whether Coenzyme Q10 is a good ingredient for your skin, I would tell you that it surely is and you can undoubtedly look for it in the face creams you are interested in buying since not only does it have an anti aging function but other skin beneficial effects as well.